“Majora’s Mask” is a tale of loneliness, betrayal, love, mortality, and unholy power– and that’s why we love it. Unlike any other Zelda game, “Majora’s Mask” is able to reach into the darkest depths of a gamer’s subconscious and drudge up all of the forgotten underlying reasons the gamer had begun playing video games in the first place. Majora attacked our weaknesses, and we were glad for it. The reason most people first pick up a video game is to escape; to become the all-important hero, to take control in a chaotic situation, save the day, and be praised for it. Video games are a sojourn from the humdrum of everyday life. Majora caught hold of this and built the story around characters who wanted to do just the same, characters a player could relate to. The Legend of Zelda isn’t typically marketed to a specific age demographic, but at the time Majora’s Mask was being made Nintendo was definitely trying to have the games appeal to not only children. 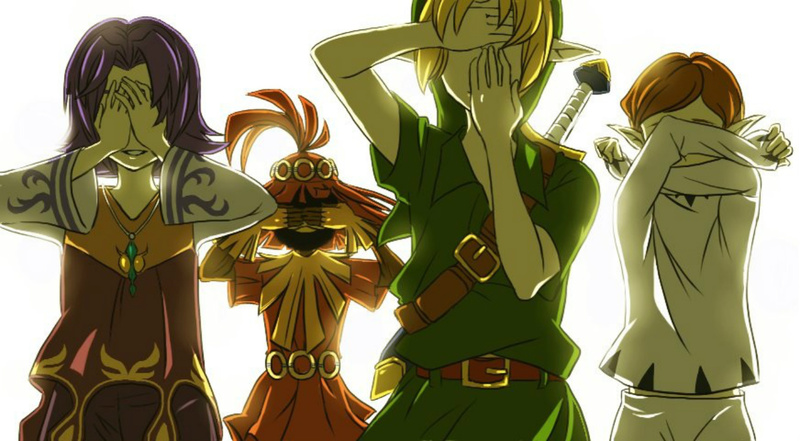 Majora appealed to the teens and young adults in America, due mostly to its dark undertones. The concept of wearing masks alone attests to this. Psychologically speaking, wearing masks symbolizes hiding one’s true self, or at least a part of one’s self. In addition, masks can be used to cloud emotions and allow wearers to act out in ways they normally wouldn’t without feeling the full force of their actions. The characters of Skull Kid and the Happy Mask Salesman wholly embody these ideas concerning masks. Deserted by his only friends, hated by all of the townspeople, banished from his home and made to wander aimlessly in the rainy woods outside of Termina, Skull Kid has a story we can all relate to. Once close with the Four Giants, he was alone when they decided to split Termina into four quadrants and each preside over one. In his grief he reverted to his old mischievous ways, until the townspeople had enough and forced the Four Giants to oust him from his home. Feeling betrayed, he wandered until finding Tatl and Tael before his fateful encounter with Majora’s Mask. Nearly all teens know what it feels like to have a best friend move away, be bullied by kids at school, or have their close friends turn on them. 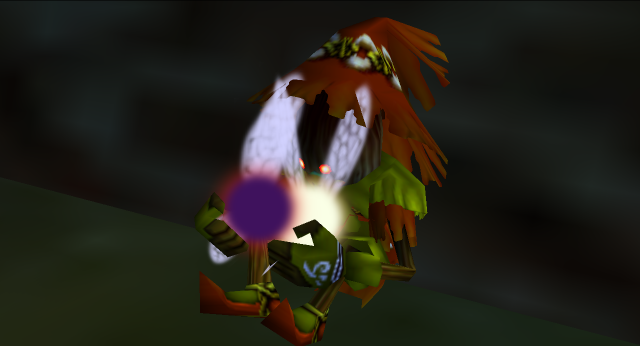 This is why Skull Kid becomes the sympathetic character he is, despite being the antagonist for most of the game. As for the Happy Mask Salesman, well, it’s the same deal. The man puts on a big fake grin everywhere he goes, when in reality he’s not happy, but paranoid. He’s another character that teens and young adults can relate to. It’s clear that the Happy Mask Salesman is unhinged by the thought of the power Majora’s mask holds. To have that mask always beckoning to him, he must’ve feared the power he himself could potentially have possessed. Just in the way people sometimes fear what they might be capable of if they let go of societal inhibitions. Despite being so creepy and hot-tempered, the Happy Mask Salesman teaches Link the Song of Healing which soothes troubled spirits and turns them into masks. This leads me to believe he takes every opportunity he can to heal damaged souls. If that’s true, then he is able to help others achieve peace but never himself. This situation occurs often in the real world, when people put on a happy face simply to avoid causing others to worry. Aside from having deeply relatable characters, the game also taught some really deep lessons concerning life and death. The masks continue to be a source of inspiration. The journey wouldn’t be possible without them, as if to say that sometimes in life one has to fake it to make it. It instilled the idea that a simple kid could be relied upon by an entire town, without the town even being aware of it. If the player ever felt unimportant in the real world, this principle could present itself and give that person a new sense of personal importance. The transformation masks coming from the deceased brings about a handful of lessons; one of which says that a person’s influence and capability to change the world does not stop at death, and another that implores players to learn from history and use skills from the past in order to make advances in the modern day. 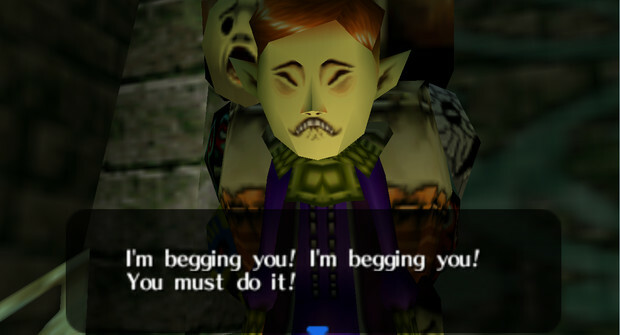 “Majora’s Mask” is a memorable game because it grips players emotionally. In a sense we’re all just Skull Kids wishing we could be Link, hopefully the lessons learned from this game prevent us from taking evil measures in order to acquire the powers granted to a hero. Hopefully, the game will have awakened players to the limitless potential lying dormant within them. What do you think of the ideas concerning our emotional connections to Majora, do you agree or disagree with the ideas presented here? In what ways did “Majora’s Mask” and its colorful characters impact your life? Did the game not really have that profound an effect on you personally? Are there any other characters whom you can relate to? Let your thoughts burst forth in the comments!